In this week's Abundance Insider: Burger-flipping robots, lip-reading authentication algorithms and new graphene-like materials made from 3D printed bacteria. What it is: A robotic kitchen assistant named Flippy developed by Miso Robotics recently completed its first day of cooking burgers at the CaliBurger fast food chain. The AI software was built for adaptability, so it can be trained to help with other mundane, dirty or dangerous tasks in commercial kitchens. The robot's onboard cameras and sensors help the robot determine when the burger is ready to place on a bun and hand off to a human worker to add condiments. Miso Robotics aims to install Flippy robots in 50 restaurants by the end of 2019. What it is: Researchers from the Argonne National Laboratory developed a polyurethane foam-based sponge that can collect oil from bodies of water. The interior surface of the sponge uses its oleophilic molecules to draw oil out of water -- and to ensure the oil molecules stuck to the sponge, researchers infused metal oxide with nanostructures to act as a primer. As a result of this technique, the sponge can absorb up to 90 times its weight in oil, and can even be used again after the oil is wrung out. Argonne is actively seeking a licensing or collaboration agreement to commercialize and market the material in under five years. What it is: Water management company Aqualia and a car manufacturer called SEAT are working together on a project called Life Metha-morphosis, which aims to create a sustainable fuel from treated organic waste that can power compressed natural gas (CNG) cars. The primary focus is producing biomethane, a biofuel that we've already seen power homes and buses. Using a process called anaerobic digestion (AD), bacteria break down solid waste from the water to convert it into collectable biomethane. Two prototypes are currently being built for this task -- UMBRELLA, which will be installed at a sewage treatment plant in Barcelona, and METHAGRO, which will operate at a plant dealing with animal manure. The team believes a mid-sized plant could treat about 10,000 cubic meters of wastewater per day to create 1,000 cubic meters of biomethane -- which would be enough fuel for 150 vehicles traveling 62 miles a day. What it is: Scientists from the Hong Kong Baptist University (HKBU) recently developed lip-reading software that may eventually be able to replace all typed or fingerprint-based passwords. The security software would ask the user to speak or mouth a password into a device's camera, and recognition software would grant access once it reads the user's lips. The team's lead scientist, Cheung Yiu-Ming, believes lip movement is more secure than biometric security (fingerprint authentication), as modern learning systems can accurately distinguish the difference between two people saying the same password. 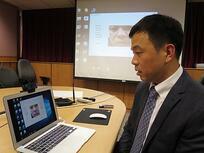 The lip-reading software received a U.S. patent in 2015, and may be available for use in the near future. What it is: Microsoft has licensed patents to Toyota, including tools to store and transfer files, artificial intelligence, cybersecurity, and technologies to predict when cars might need maintenance, anticipate routes based on calendars, and more. The move builds on an earlier partnership between Microsoft and Toyota, Toyota Connect, which is focused on bringing new tech to cars without overwhelming drivers and drives Toyota's research in AI and robotics. What it is: Researchers at ETH Zurich and IBM Research Zurich have built a new type of tiny redox flow battery that will supply tightly packed electronic components with energy. At just 1.5 mm thick, the chips can be stacked, saving space and energy, and supplied and cooled at the same time. The battery is also quite efficient, producing a record 1.4 watts per square centimeter. 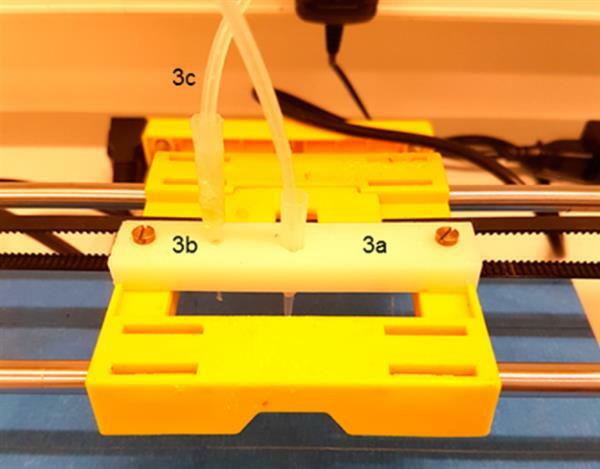 To address the challenge of creating an efficient structure for flow of the electrolyte while keeping pumping power low, researchers turned to 3D printing to create polymers and complexity at such small sizes. What it is: Due to acute stress and normal aging, some cells become damaged. Apoptosis normally removes them from the body, but some remain, becoming senescent, unable to divide but producing pro-inflammatory compounds that can accelerate aging. How senescent cells escape apoptosis is not yet entirely clear, but researchers here have added to that understanding and created a protein peptide capable of inhibiting the rexpression of FOXO4, a gene disproportionately expressed in sensescent cells. This neutralized the effects of chemotherapy (an acute stress), restored fur density, fitness, and renal function in fast-aging and naturally aging mice. Some mice were able to increase their distance runs by 200% to 300%.